Over the past year, I have been exploring the work of Abraham Bloemaert (1566-1651), particularly his drawings of ancient trees. In this work, I wanted to animate the tree, to give it a sense of movement and personality. The highly contrasting black and white lines dance around each other, resisting a fixed image, much more like a Disneycartoon. 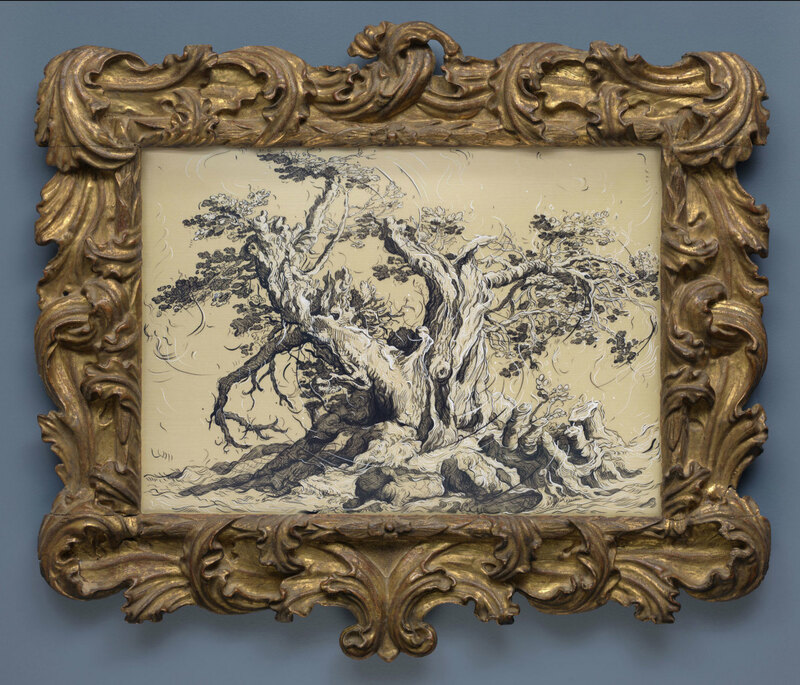 As in other works in the exhibition, the extraordinary 17th Century Genoese frame was the starting point for this work, and indeed it was a challenge to draw a tree that had as much character as this frame.